Achingly beautiful, remote, and uniquely sculpted by wind and water, Ladakh has a magnetic allure that’s drawing more and more tourists from across the globe. The landscape here is the biggest draw – a raw and wild beauty that humbles and wows. Bounded by two of the mightiest mountain ranges on the planet – the Himalayas and the Karakoram – the region is also graced by the Ladakh and Zanskar ranges. Ladakh is indeed a land like no other. Its towering mountains are austerely beautiful, stoic sentinels watching over a rocky moonscape capped by snowy peaks and azure skies. Where the Indus and Shyok rivers flow and the terrain is fed by glacial melt, blue-green rivers meander into a secret wilderness that only few have traversed. Located in the northern state of Jammu & Kashmir, Ladakh is bordered by Pakistan, China and Tibet. Since the region includes sensitive borders, Ladakh was opened to overseas tourists as recently as 1974 while some parts are still off-limits. 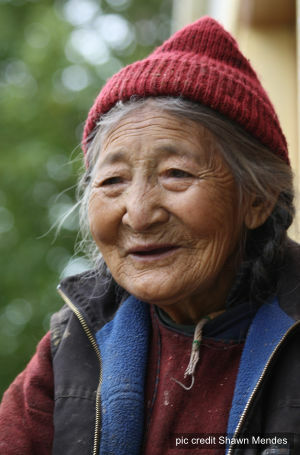 The Ladakhis are Buddhist, a warm and gentle people who always welcome visitors with a smile. Their culture is a refreshing contrast to the Western world, and many visit this region to take inspiration from the unique Ladakhi lifestyle. Ladakh is a high-altitude cold desert, and from the tourist’s perspective, the best – and only – time to visit the region is between May and October. Located on the Tibetan Plateau, Ladakh receives very little precipitation as it lies in the rain shadow region of the mighty Himalayas. And that’s just as well. Most other destinations in India receive heavy rainfall from June to September, which makes Ladakh the perfect choice to explore during this time of the year. Summers are warm and the nights are pleasant but it’s a long, long winter, with sub-zero temperatures. In winter, snowfall is heavy and many parts of the region are shut to tourists. Visitors keen on visiting the extremely remote Dras, Suru and Zanskar regions in Ladakh, take note. These areas are situated on the north flank of the Himalayas and experience heavy snowfall, which virtually cuts them off from the rest of the country for several months of the year. Winter temperatures here plummet as low as minus 60 degrees Centigrade. Light woolens in summer and heavy woolens in winter. Temperatures vary depending where you’re headed so pack clothes that can be worn in layers. Tourists, especially foreign tourists, need an Inner-Line Permit to visit some places in Ladakh, and this may be obtained from the District Commissioner’s office in Leh or through a travel agent. The permit regulates the flow of tourists to areas that are ‘restricted’ as they are relatively close to border areas. Different regions in Ladakh vary in altitude but the entire region is located at a height. Hence, the air is rarified, which means oxygen levels are less than normal. Tourists are therefore at risk of suffering from Altitude Mountain Sickness. But if you take the recommended measures to acclimatise, you should be goo to go. There is an airport at Leh, which is well connected to Delhi, Chandigarh and Srinagar. By road, Leh is connected to Srinagar and Manali. Most tourists arrive in Leh, the capital of Ladakh. At 3,524 mt (11,562 ft) above sea level, you will need to spend at least 24 hours acclimatising to the altitude or risk suffering from altitude mountain sickness. 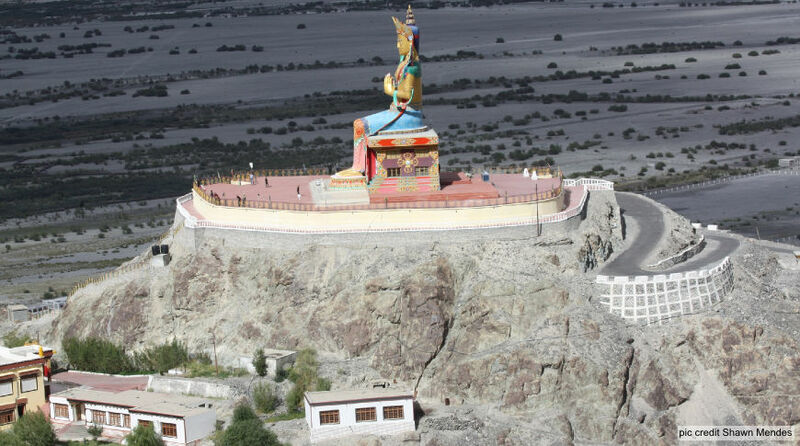 There are many must-see places of interest in and around Leh, so you might want to spend a few days here before you proceed to more exotic destinations. Apart from the sights in Leh itself, there are many day-long excursions you can enjoy. Destinations like the Nubra Valley would require an overnight trip. To get the most out of your experience in Ladkh, you need to put the region in the context of its past. Without this perspective, the palaces, forts and monasteries you visit will be nothing more than beautiful monuments stripped of their soul. So, here’s a brief sketch of Ladakh’s historical past, focusing on the two dynasties that ruled this mountain kingdom. There are few, if any, records on Ladakh’s history prior to the mid-9th century, when the region began to come under the religious and cultural influence of neighbouring Tibet, which was then non-Buddhist. At the time, Ladakh was ruled by local chieftains, and in these pre-Buddhist times, the dominant religion was Bon, a faith marked by shamanistic practices. During this time, many chronicles refer to Ladakh as part of Tibet. In the 10th century, Ladakh was wrested from the rule of local rulers by the Lha Chen dynasty, which was the dominant power in Tibetan when its empire was breaking up. King Skyid lde Nyima Gon or Nyima Gon fled to what was then called Western Tibet and conquered Ladakh from local rulers at the end of the 10th century. Nyima Gon’s eldest son Palgyi-Gon took over the reins of power as the first king of a unified Ladakh in 930. The Lha Chen dynasty ruled Ladakh between the 10th and 15th centuries and introduced Buddhism to the new kingdom they had conquered. The two regions – Ladakh and Tibet – experienced close cultural and religious ties, and Buddhism became the dominant religion in Ladakh. In fact, monks from Ladakh were regularly sent to Tibet, to live in their monasteries and better understand the new faith. Next, Ladakh, was seized by the Namgyal dynasty in 1490. The dynasty, another branch of the Tibetan royal family, had its roots in Basgo, which was an important political and religious centre located in the modern-day district of Leh. Ladakh has since been ruled by the Namgyals, up until Jammu & Kashmir became a part of the Indian Union. It was under the Namgyal dynasty (Namgyal means ‘victory’ and was the name adopted by the dynasty to signify their victory over the Lha Chen king of Leh) that the royal fort (Tsemo Fort) was built atop the Namgyal Peak. Sengge Namgyal, who ruled Ladakh in the early 17th century, embarked on an ambition reconstruction programme, to restore the region to its former glory after it had been sacked by Muslim invaders from Central Asia. The Leh Palace and famous monasteries at Hemis and Hanle were built during this time. As with every other fiefdom or empire in history, Ladakh too has come under the influence of various invading powers such as the Mughals, who occupied Kashmir and Baltistan. In the 18th century, Jammu & Kashmir fell under Sikh rule and a general in the Jammu army, Zorawar Singh, invaded Ladakh in what became known as the Dogra Invasion in the mid-19th century. As a result, the Leh Palace was badly damaged and the King of Ladakh was exiled to Stok, which is still the official residence of the Ladakhi royal family. Eventually, after British colonial rule and Indian Independence, Ladakh was included in the Indian Republic as part of the state of Jammu & Kashmir in 1947.